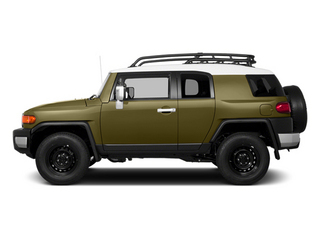 The FJ doesn't try to fit in as a family vehicle, or sacrifice some off-road ability in the name of comfort; its singular focus is ruggedness and trail prowess--and it really looks the part, with its retro-fashionable design harking back to the 1960s-era FJ40 trucks. 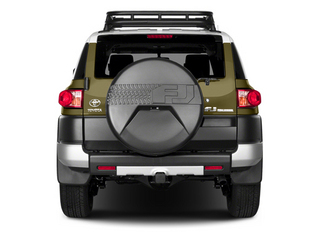 The FJ's tough, body-on-frame construction means that a few bangs or dents from boulders won't get in the way, while a rugged, straightforward interior design, with water-resistant seats and a rubberized floor, really fits the purpose. <p><p>Those looking to get not only the most rugged off-road ability but also a more fashion-forward urban look will want to get the Trail Teams Edition. 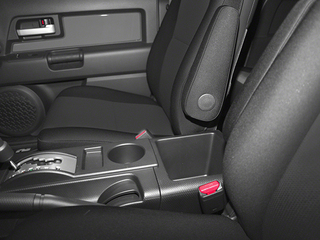 It comes with a 120V power outlet, aluminum sill plates, leather steering wheel and special off-road suspension with Bilstein shocks. 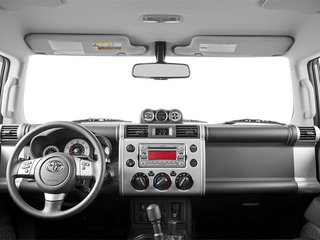 The 2014 Toyota FJ Cruiser comes in a single trim level, with choice between rear-wheel drive and 4-wheel drive. 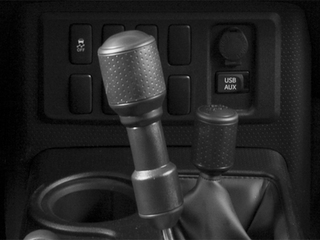 Rear-wheel-drive versions come only with a 5-speed automatic transmission, while 4-wheel-drive versions can be equipped with that automatic or a 6-speed manual gearbox. 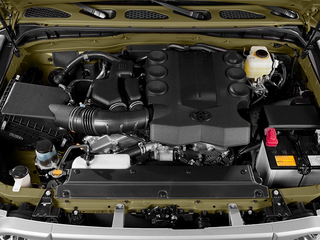 The FJ's 4.0L V6, the only engine available, makes 260 horsepower and 271 pound-feet of torque, with the dual independent variable valve timing allowing strong low-rev torque for off-roading exploits. 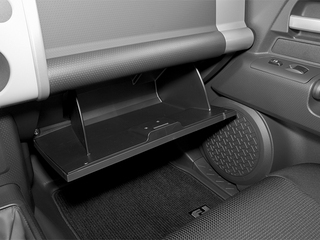 Manual-transmission versions with 4-wheel drive get a system that distributes 60 percent of power to the rear wheels under most conditions but can be locked to a 50/50 split. 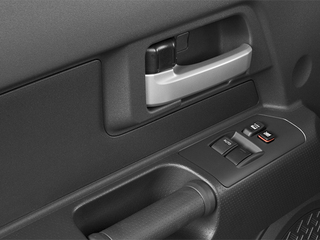 With the automatic transmission there's a separate part-time 4-wheel drive system--allowing better gas mileage when you're commuting or driving on the highway in clear conditions. 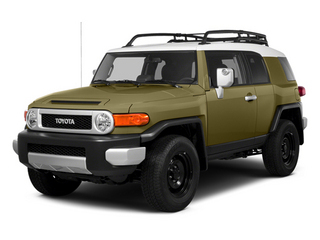 Both versions include a separate low range for low-speed rock crawling, and manual FJ Cruisers get a locking rear differential, which is optional on automatic FJs. Rear-wheel-drive versions receive a limited-slip rear differential, with the included electronic stability and traction control, to assure the surest footing possible. 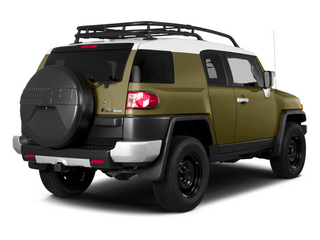 The FJ Cruiser is a true truck, with tough body-on-frame construction and a boxed steel ladder-braced frame. 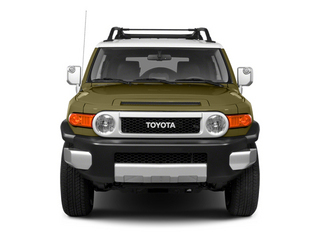 A 4-link coil-spring rear suspension with solid axle and a double-wishbone front suspension, together 4-wheel disc brakes, hydraulic power rack-and-pinion steering altogether provide maneuverability and relatively responsive handling on the road, combined with some of the strongest off-road ability in a stock SUV. 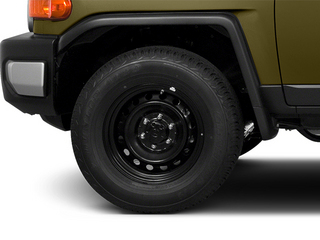 Altogether, the FJ with its standard tires has 9.6 inches of ground clearance plus approach (34 degrees) and departure (31 degrees) angles. Towing capacity is rated up to 4,700 pounds. 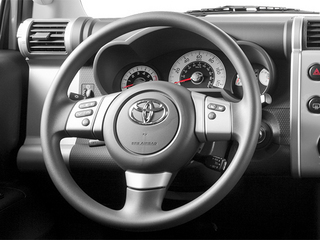 The FJ Cruiser doesn't completely forgo comfort. 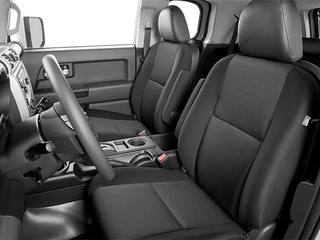 With an 8-way-adjustable driver's seat, most will be able to get comfortable in front and have a good view out. 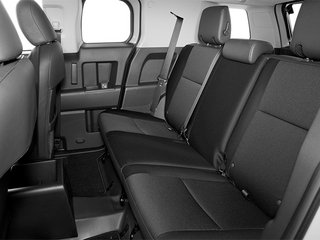 In back, a 60/40-split rear seatback with removable bottom cushions can be folded to a nearly flat cargo floor. 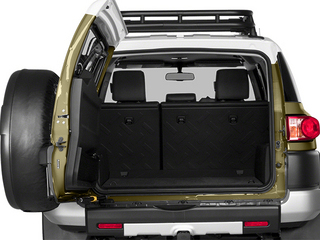 In the cargo area there are lots of cargo-net hooks, bag hooks and cargo tie-down points. 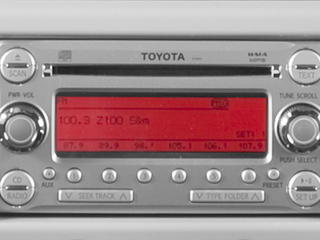 Standard features on the FJ Cruiser include air conditioning, power windows, locks and mirrors, Bluetooth hands-free connectivity, a rear defogger and a 6-speaker sound system with USB port, iPod interface and Bluetooth streaming audio.